Decode the Prophetic Language of God! In The Divinity Code to Understanding Your Dreams and Visions, Adam Thompson and Adrian Beale taught you the supernatural keys to interpreting God’s voice through your dreams. 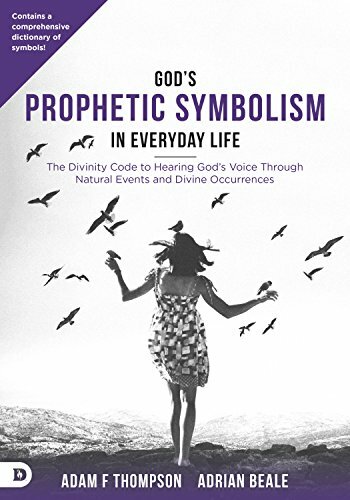 In this follow-up work, Thompson and Beale offer revelatory insights about the prophetic language that God speaks through everyday signs, symbols and pictures! God's Prophetic Symbolism in Everyday Life will open your eyes to how God is constantly speaking to you through what’s around you. - Operate in the prophetic and seer anointings. 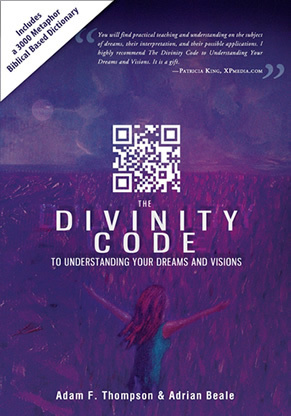 The Divinity Code to Understanding Your Dreams and Visions is a Bible-based guide to dream interpretation that reveals the mysteries of the Kingdom of Heaven. With this set of Master keys, you can unlock the unseen realm! Led by the Holy Spirit, you can manifest Gods Kingdom on earth through Jesus Christ by knowing what your dreams and visions mean.